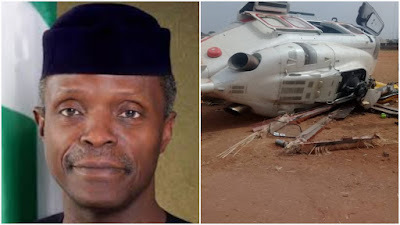 The nation was saved from tragedy on Saturday as the helicopter, Augusta AW139, conveying Vice-President Prof Yemi Osinbajo crash-landed in Kogi State. The Presidency said the accident would be investigated in line with protocol. 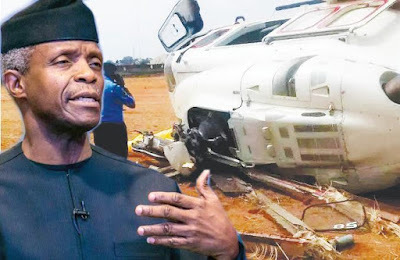 Osinbajo’s Senior Special Assistant on Media and Publicity, Mr Laolu Akande, who spoke with The Punch, disclosed that an investigation would be immediately set in motion.